Description: Join us! 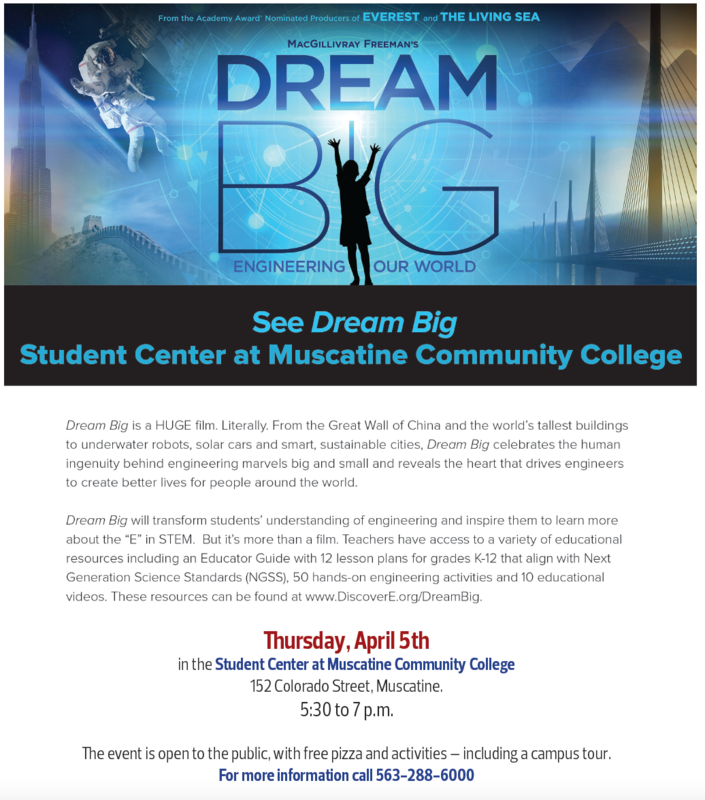 Muscatine Community College, ISU Extension and Outreach Muscatine County, and Stanley Consultants are partnering to present: Dream Big: Engineering Our World film screening on Thursday, April 5, from 5:30-7pm at the Muscatine Community College Student Center. The event is open to the public, with free pizza and activities.